Two Golden Hawks are setting out on a trip to do good deeds for the less fortunate. 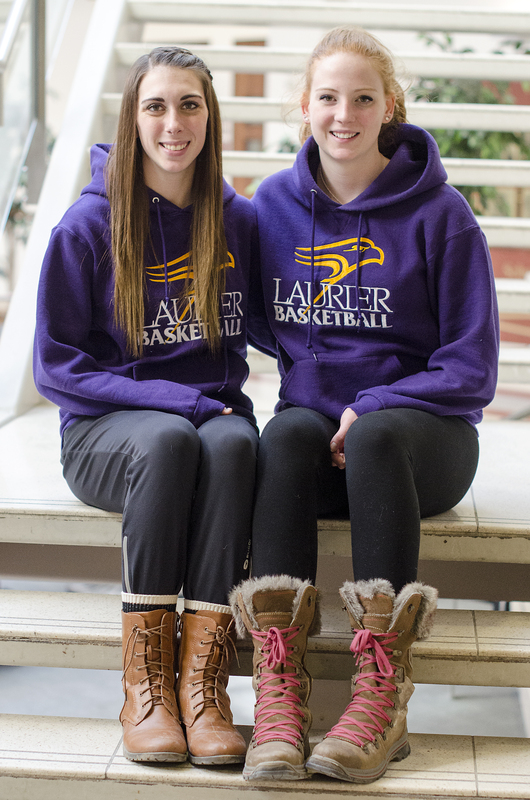 Wilfrid Laurier University basketball players Kaitlyn Schenck and Alex Spadaro have teamed up with humanitarian organization, The New World Community, to plan a week-long mission trip to the Dominican Republic starting April 28. The trip will see Schenck, Spadaro and eight others build houses and schools for impoverished Dominicans in the San José de Ocoa province. For Schenck, the trip represents an opportunity for personal growth and understanding. “We’re so fortunate and I think we don’t realize how fortunate we are until we go into a situation like what Alex and I are doing, and you come back and appreciate everything you have so much more and you appreciate every day you’re able to have clean water or a roof over your head,” said the third-year guard. Having been introduced to the NWC by a friend and boss, Schenck and Spadaro joined a group of university students planning to visit San José de Ocoa. “I’ve traveled before, but it’s always been with my family or people that I know, so it’s kind of weird going off together with people that we’re not that close with to somewhere we don’t know,” said Spadaro, a second-year forward. “To do it in a big group was also a huge enticing factor for us,” she added. Through a series of fundraising events including snack sales, gift auctions and donations, the Golden Hawk duo has collected around half of their monetary goal for the trip. Tapping into businesses around the community for contributions has proved fruitful, as businesses like Sobeys and Wal-Mart have pitched in with gift cards for auctions. The Laurier community has also played a large role by pitching in. “[Dean of students emeritus] Fred Nichols was amazing and donated Raptors tickets – we were able to do a silent auction and raise about $1,000 on those alone,” said Schenck. The basketball season presents a challenge in terms of scheduling. With their commitment to their team, exams and their respective summer league teams, the pair was lucky to find a week in which to make their voyage. “With basketball if you want to go on a trip you have maybe a week, and maybe there’s not a trip leaving when you’re available,” said Spadaro. The trip is an opportunity for the Schenck and Spadaro to step out of their comfort zones socially and also work closely with issues that often go unnoticed in the lives of university students. “We travel to those countries, but we’re also on a resort and we don’t see the life off of the resort … it’s incredibly different how life is lived over there compared to resorts because we only see what we want to see,” added Schenck.